It can get wet out there in the wild! Stay dry with this Legend of Zelda Liquid Reactive Umbrella! 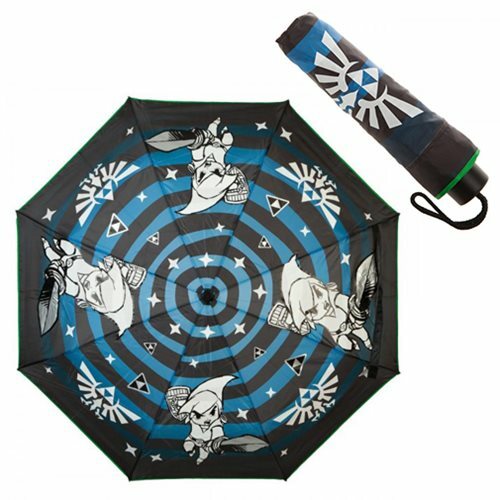 The stylish black umbrella features a repeating sketched image of Link and comes with a slip case. Ages 14 and up.